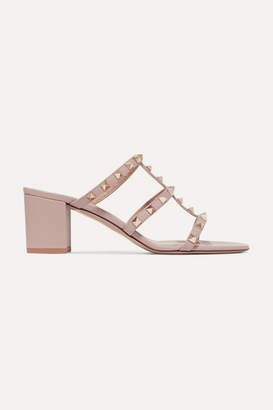 Seamlessly merging boldness with elegance, Valentino's sleek approach to even the most casual of pieces ensures that you always look stylish. 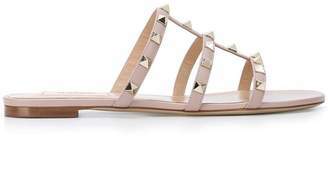 Case in point: these easy cool white and pink Valentino Garavani Rockstud slides from Valentino's SS19 Collection. 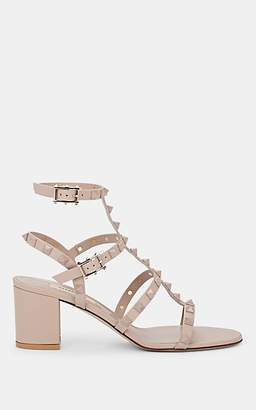 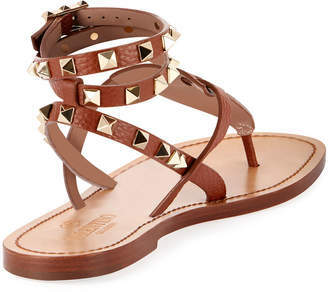 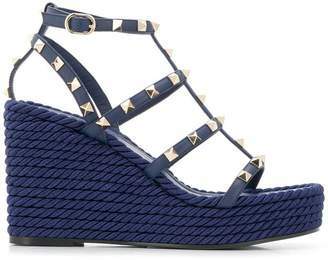 Featuring an open toe, gold-tone Rockstud embellishments, a slip-on style and a flat rubber sole.